What is a letter of demand and when should you send one out in Singapore? If you run a business providing goods or services in Singapore, it’s usually only a matter of time before you’ll run into the unfortunate situation where a debtor deliberately avoids payment. There’re no replies when reaching out to them through email, phone calls or mobile text messages and on the rare occasion when you do actually manage to somehow get a response, it’s usually an apologetic (or occasionally gruff) promise to make the payment followed subsequently by yet more “radio silence”. While bad debts are part and parcel of every commercial business, it’s always best to have a company debt-collection framework in place to minimize uncollectable debt. The first step in this debt-collection framework is to issue a letter of demand. It’s always best to send out a letter of demand as soon as possible. Once you’ve reached the stage where the debtor is deliberately avoiding contact, it’s possible that you may not be the only creditor hot on his tail. 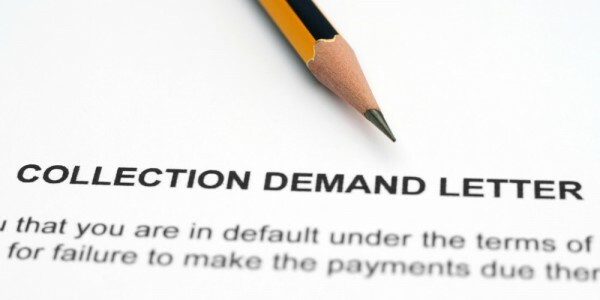 A letter of demand is a letter setting out a list of demands for the debtor to abide by. While anyone can write and send a letter of demand, companies usually hire lawyers to send their demand letters on their behalf in a commercial context. The underlying tone behind a formal letter of demand sent by a law firm is strict and firm. It is usually understood that the letter of demand is a veiled warning that legal action will soon be coming if the stated demands are not met within the requisite time frame. Why send a letter of demand? Sending a letter of demand sends a signal that your company is ready to escalate things to the next level. In other words, the letter of demand illustrates to the debtor that you’re no longer playing nice and that you’re willing to litigate if necessary. Does sending out a letter of demand actually work? It can. Frankly, the odds aren’t always great but the underlying threat behind a letter of demand does provide a pretty strong incentive for debtors to pay up. More importantly, it establishes a rigid timeline for the debtor to respond, after which you’ll be more mentally prepared to pursue litigation. As mentioned earlier, it’s definitely possible to send out a letter of demand on your own. However, although anyone can write and send a demand letter, it’s typically taken a lot more seriously when it is written on a law firm’s letterhead. This indicates that you mean business and took the trouble to look for a trained lawyer who can then escalate the matter on your behalf if there isn’t a response to the letter of demand.